The myriad of cultures and the biodiversity of Odisha makes it one fascinating travel destination. Odisha offers you a complete package in terms of architecture, wildlife, diverse cultures and the art of handcrafting. Here’s how to make the best out of your travel to this mesmerizing Eastern State in India. This Hindu Temple is an intricately carved architectural wonder which was built in the 13th Century. 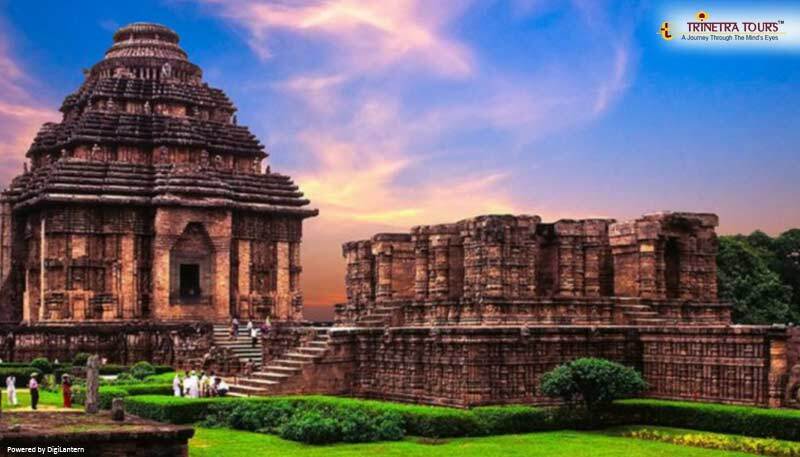 Though the building is mostly demolished, yet the Kalinga architecture and scriptures make it worth a visit. If you are an Archaeology enthusiast and love photography, you’re definitely going to fall in love with this gorgeous site. A paradise for nature lovers, Chilika Lake shall be visited for its amazing landscape and beautiful birds. This is one of the largest brackish water lagoons in India which covers a wide area of around 1165 sq.km. There are more than 160 species of colourful birds including white sea eagles, seagulls, flamingos, sandpipers, pelicans and much more. Odisha is a blessed state when it comes to wildlife. Nandankan Zoological Park, Simlipal National Park, and Bhitar Kanika Wetland are some of the must-visit places for a real wildlife adventure. If you’re on a family holiday, the kids are going to have a lot of fun in these wildlife sanctuaries. 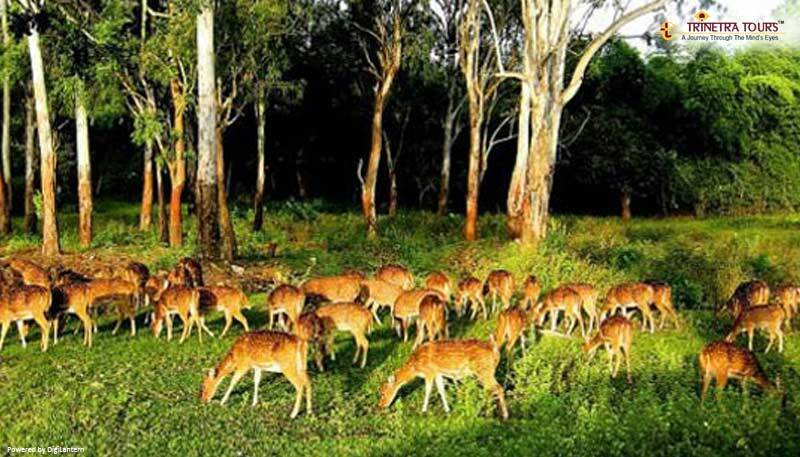 At Nandankan Zoological park, there’s a beautiful lake – Kanjia, surrounded by the lush green forest and you’ll get to meet 166 species of animals. The special attraction is obviously ‘the white tigers’. Simlipal is yet another bountiful wildlife sanctuary with some beautiful waterfalls and is dedicated to wildlife conservation. The Bhitar Kanika wetland has more than 55 species of mangroves which is famous for its crocodiles and turtles. 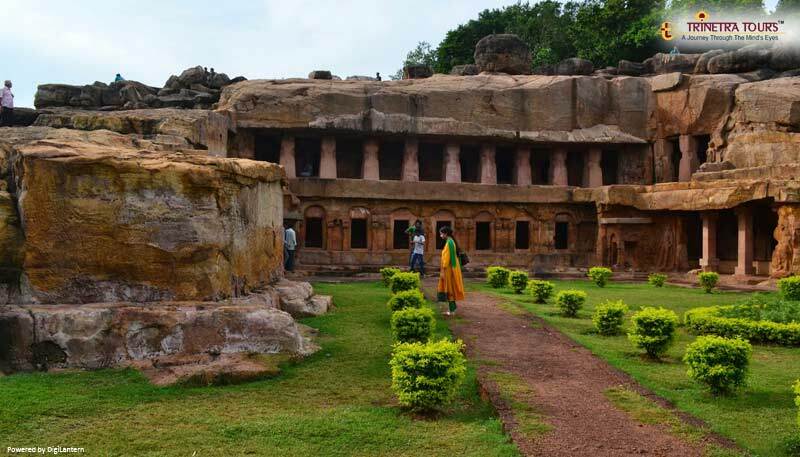 The vast group of caves situated in Bhubaneshwar is a popular tourist attraction given to its exquisite architecture. Rani Gumpha is the largest cave here. These rock cut Jain Temples have that chambers are inscribed with mesmerizing scriptures and therefore, is a significant archaeological site in India. Odisha produces the best handicrafts goodies in India, such as Dhokra casting, Horn works, Golden Grass work, Lacquer Toys, Papier Mache, Palm leaf art and Tussar paintings. You can buy adorable home décor pieces including wall hangings, lampshades, vases, wall paintings, handbags and painted fabric. 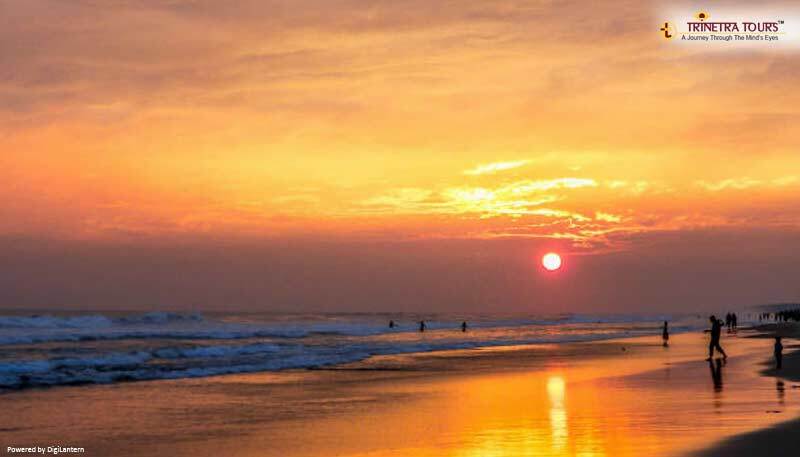 The Chandrabhaga Beach celebrates divinity with a seven-day long fair in the honour of the Sun God as this beach is located near the Sun Temple, Konark. It is one of the favourite destination amongst the travellers because of its serenity and magical view during the sunsets. This beach is an ideal holiday spot when you are with friends and family. Another beach in Odisha which is known for spellbinding sunset view is Chandipur Beach. As Mahatma Gandhi once said, “the future of India lies in its villages.” This statement is quite true because the villages of India provide the foundation for the country to stand tall on the world map. The tribes in Odisha are composed of skillful artisans and farmers. They work hard and find joy in simplest of the things such as music & dancing. 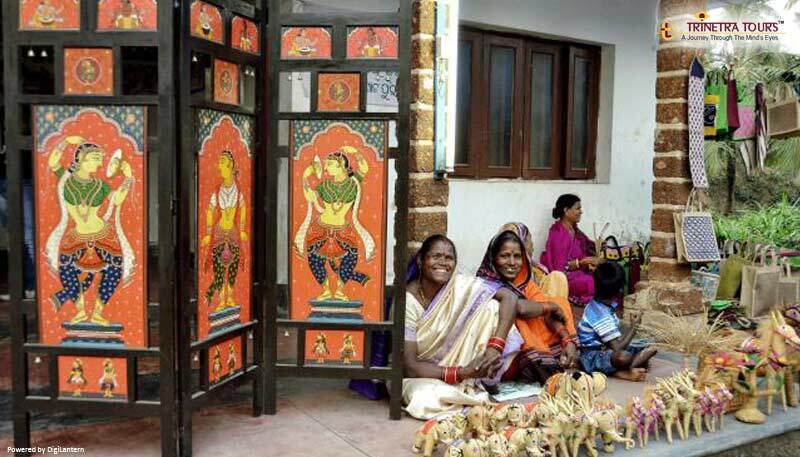 They earn their living through painting, weaving, and designing of ornaments. 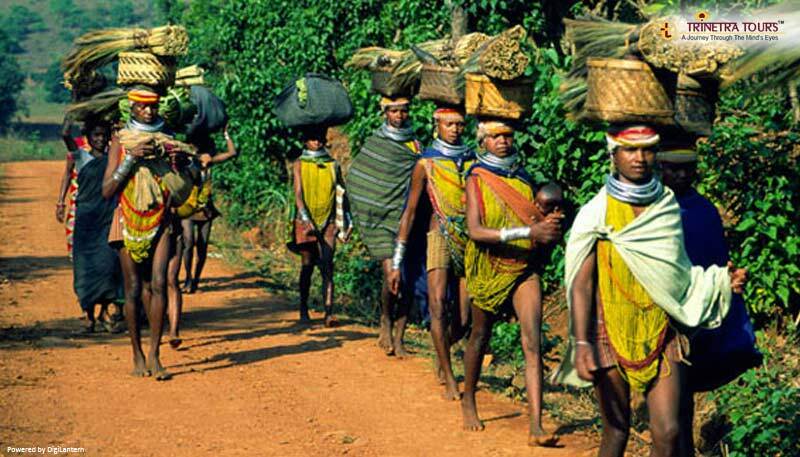 These tribal villages are the soul of Odisha and hence, on our must visit list. Raghurajpur is one such village that is blessed with artistic people. There’s so much more to Odisha than just this list which can’t be put into words. Allow us the honour to host a customized tour for you and we promise that you’ll have a trip of a lifetime.